How Important is it to be First? I’ve started re-reading a useful little marketing strategy book I own: “The 22 Immutable Laws of Marketing ” by Al Ries and Jack Trout. Their first “law” is the Law of Leadership: it’s better to be first than it is to be better, they claim. They give the example of Charles Lindbergh as the first person to fly the Atlantic solo. Have you ever heard of the second person, Bert Hinkler, even though he was able to fly faster & consumed less fuel? Probably not. That got me thinking… is that law always true, and are there any exceptions to it? I think it’s a good rule of thumb, but we have to be careful applying it to technology products: There are times in technology marketing when being the first to market is not the best choice (for example, if the technology is not yet mature enough, or the supporting infrastructure isn’t ready for a compelling usage model yet). It has to be a strategic decision, with this as one consideration. However, thinking about this “law” in terms of how to position your product or service makes a lot of sense: if you’re launching a project management software product it may not be smart to go head-to-head with Microsoft Project as a meets-all-needs basic project planning tool. Better to find a specific market segment where you have enough unique value or unique features to be the “first” to really solve their particular problems. Get traction and success in that subsegment, then you can grow from there. This interview with David Taber, Author of “Salesforce.com Secrets of Success” on the Marketo blog is a worthwhile read for any software marketer, especially those in the CRM space or those who wish to more effectively utilize their own CRM systems. What are the Best Digital Marketing Activities for Software Companies? The Question of the Week over at Software-Marketing-Advisor.com is about identifying the best digital marketing activities that could be adopted for software enterprises. It’s a good question, even though a very general one, because there are many web software marketing options available for software companies, and most are very affordable choices especially for smaller software firms and those that sell primarily online. I also find that many software companies just don’t make the most of their web software marketing efforts. The most important thing to remember is that having a website is no guarantee that your target customers will find you… it is too easy to get lost as just one of the hundreds of millions of sites out there. Your website needs a marketing plan, just as any brick-and-mortar business does too. So, getting your website visible in those places is your goal. Make a list of the most important sites where you would like your website to be highlighted. SEO – make sure you’re following proper use of keywords, meta tags, and building inbound links to your website. Blog – you should have a blog on your website that is updated regularly, and participate in other blog discussions and comments. Advertising: PPC or online classified advertising relevant to your niche. 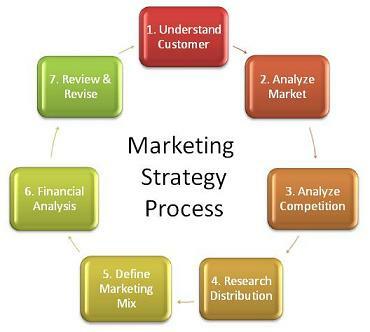 You can find more detail in this article on building your web software marketing plan.